What do you know about astrology? Do you believe that it is limited to your horoscope column in the newspaper? If you do, then let us reveal to you what astrology actually is – you may be amazed! Astrology is one of the oldest forms of divination. Its roots began in Assyria (modern day Iraq) approximately 4,000 years ago. The Assyrian priests used the knowledge of the stars to advise the king and predict the will of the gods they worshipped. It was an honored tradition that spread to the Egyptians and the Hebrews, the people of India, the Greeks, and eventually the Roman Empire. Although sun sign astrology (that is what you find in the newspaper) does reveal information about the sign you were born under, it is only a small part of the astrological chart. A full chart analysis would include the Moon, the 8 other planets, and take into consider your time of birth (if it is known), and the place you were born. These planets combined with their interactions with one another form the birth chart of the horoscope. An astrologer can use this information to get a clear picture of who you are, what motivates you, how you relate to the people around you, and what the best possible potential for your future is. Over the past 30 years, the astrological world has grown exponentially. A revival of classic techniques (Hellenistic and Traditional) and exploration into unique specializations (medical, psychological, financial, and horary) continue to evolve this ancient art in order to address the concerns and questions clients have about their lives. 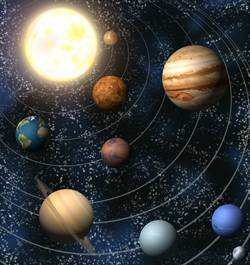 In many ways, modern day astrology is a marriage between science and fate and those educated in its symbolism are able to weave the messages of the planets in order to provide meaning into future potentials. You can get a free reading today with one of our gifted psychic astrologers by CLICKING HERE!